Former Bangladesh skipper Mohammad Ashraful recently revealed that his desire to once again represent his country with his five-year ban for involvement in match-fixing and spot-fixing almost coming to an end. Ashraful received a suspension of 3 years from domestic cricket for his involvement in corruption in the 2013 Bangladesh Premier League (BPL). 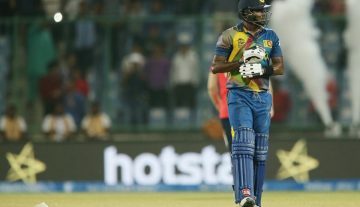 Having already been given the green signal to play in Bangladesh’s domestic competitions in 2016, the 34-year-old will become eligible for international cricket and the BPL from August 13. The right-hand batsman has been in good form in List-A games as he has maintained an average of 47.63 in 23 matches. He also became only the second batsman after Alviro Peterson (2015-16 Momentum One-Day Cup) to score five centuries in a single List-A tournament. However, he has not been able to carry forward his form in first-class games where he only averages 21.85 in the last two years. Ashraful has played 61 Tests, 177 One-Day Internationals and 23 Twenty20 Internationals for Bangladesh in which he amassed as many as 2737, 3468 and 450 runs respectively.